While your children may be content to spend their summer vacation lounging about the house with not a care in the world, you may be looking to bring a little more structure to those days away from school. Sending your kids to summer camp can be a fun, beneficial way to transform their break into a learning experience. Here are a few reasons why summer camp can be an important part of growing up. Between TV and video games, it can be a chore to get kids to spend time outdoors these days. However, the summer weather is ideal for exploring nature, playing sports and staying physically and mentally active. 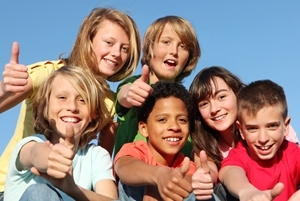 Summer camp can provide a safe and structured environment for your kids to make the most of the season. Summer camp can be a time for getting kids to come out of their shells and try new things. While the camp landscape may seem like it's full of strange people and places at first, after several weeks away from home, your kids will likely have a bevy of new friends to talk about. That's not to mention the potential for trying out games, crafts and activities that they may never have experienced before. If your little ones are quick to give up on a task that seems difficult or confusing, summer camp can teach them to trust in their abilities to overcome new challenges. Whether it's learning how to properly bait a fishing line, work with teammates to overcome an obstacle course or develop a camp theater production, campers are often asked to complete tasks that require out-of-the-box thinking. Kids will do all of this away from the familiar setting of home, forcing them to rely on themselves.